The arrival of recently restored Hawker Hurricane Mk.II P3717 at Old Warden aerodrome on Tuesday, 9 May 2017 marks the first time in many years that three Hurricanes have resided at the same airfield. The Shuttleworth Collection’s unique Sea Hurricane had been the sole example of the type based at Old Warden for almost two decades. 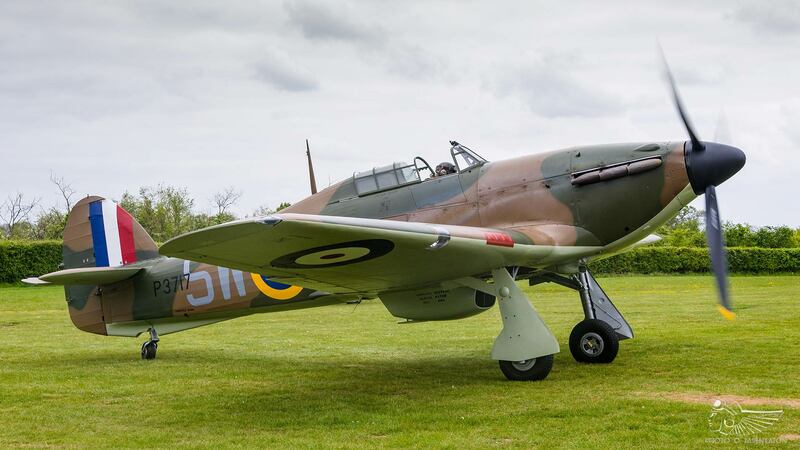 It was joined in 2015 by James Brown’s Mk.I R4118, which is operated under the Hurricane Heritage banner. R4118 has now gained a stable mate with the arrival of P3717, which will be operated by Hurricane Heritage/Bygone Engineering Ltd for its debut airshow season. 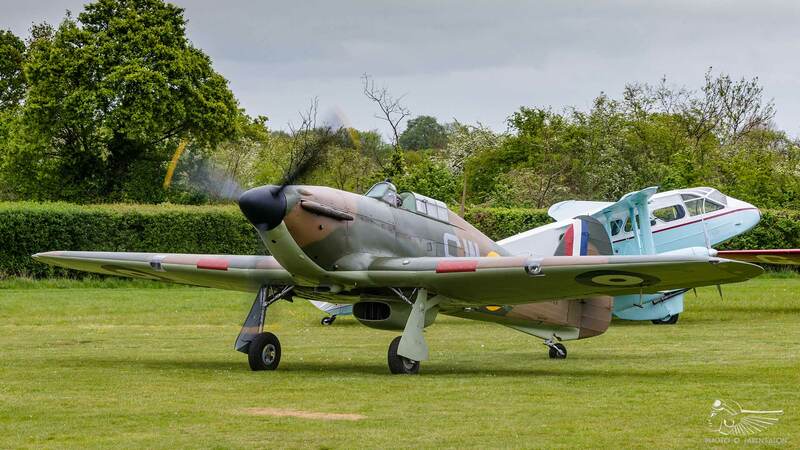 These two Battle of Britain veterans will fly together as a reminder and a memorial to the bravery and sacrifices of those airmen who flew in combat throughout spring and summer 1940. P3717 made its post-restoration flight in March and flew subsequent test flights from Turweston aerodrome before moving to Old Warden. The Hurricane has been restored into its latter day Mk.II configuration, but wears the scheme it wore during the Battle of Britain, when it served with 253 Squadron. In August 1940 the squadron was scrambled to intercept incoming Messerschmitt Bf110s, with P3717 engaging two aircraft. 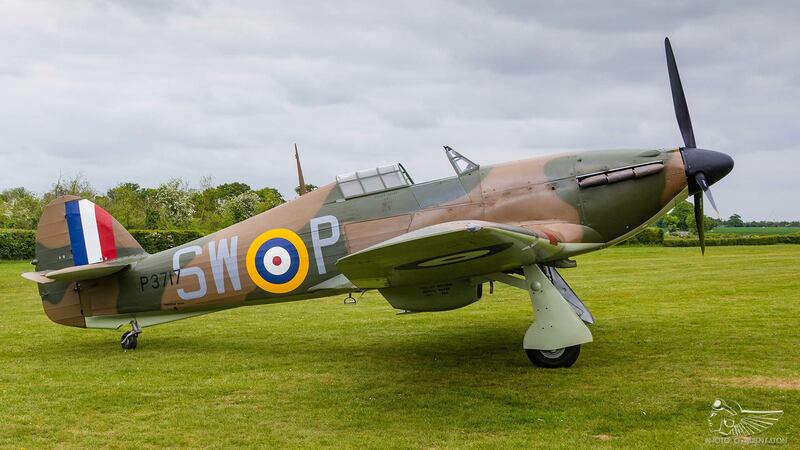 The Hurricane was badly damaged in the combat and was subsequently repaired before being sent to Russia, where the aircraft sat until recovery in the 1990s. The three Old Warden Hurricanes will surely be a big draw for enthusiasts and will hopefully be seen in the air together at future Shuttleworth airshows – indeed, it is still rare to see more than two Hurricanes flying together at any one time. It will hopefully be an opportunity to raise the profile of the Hawker Hurricane amongst both enthusiasts and the general public alike, highlighting the important role the type, its pilots and ground crews played during the Second World War.